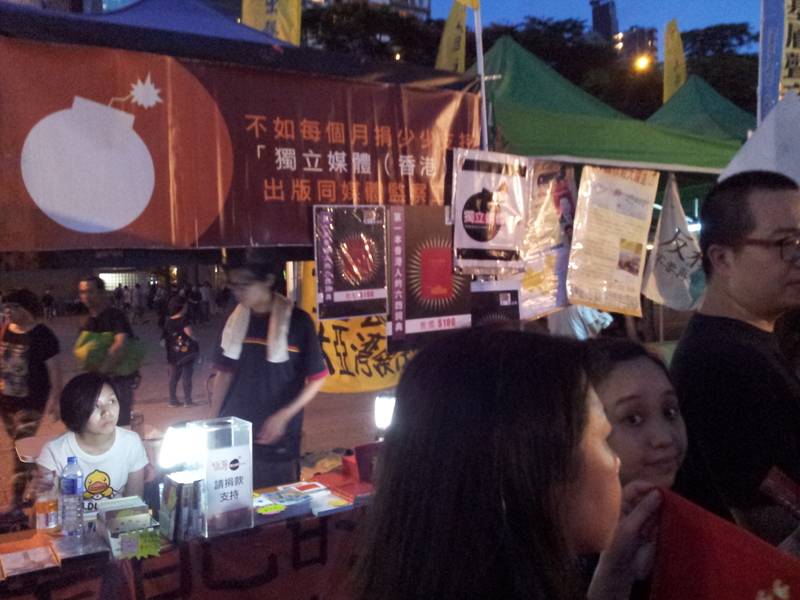 Hong Kong In-Media set up booth at Victory Park in the June 4 evening. We sold books related to the Tiananmen Massacre, independent movies about mainland socio-cultural situation and human right movement. Thank you for those who make donation to us, also our supporters and volunteers. All the donation will be used for advocacy of citizen journalists movement.